There are always obstacles to thankfulness, and living with a painful chronic disease is certainly an obvious one. This week confronted once again things I’m no longer able to do for a holiday, I reflected on the what stirs a thankful heart and things much more important than color-coordinated napkins and a lovely front door wreath. It’s almost Thanksgiving in the U.S. But as we enter this season of holidays (holy days), each one is an opportunity to open our hearts wider to others, dwell on things we hold true, and commit ourselves to a life that reflects that. Five Kernels of Corn is a historical American poem by Hezekiah Butterworth. Our family did dramatic recitations of it on Thanksgiving for many years. 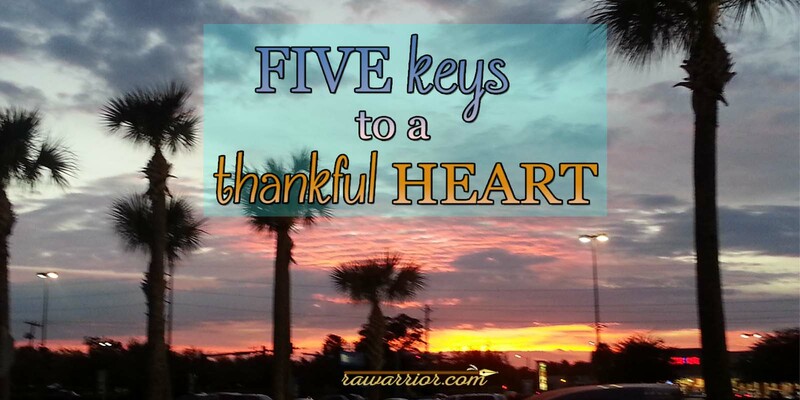 Here are five ways the poem helps me have a thankful heart in spite of circumstances. 1) Remember you’ve been through worse and made it through. Some say it helps to always remember “someone else is worse off than you,” and that’s probably true, but I’m not sure it stirs up thankful feelings as well. They were weak and hungry, and scared. And they were also newly widowed. But they were still standing. And welcoming each morning. 2) Realize that your faithfulness will make a difference to others. Whether it’s a nation or a family or a company, your actions matter to others. Even if you are the first one or the only one, rejoicing will be contagious. 3) Relinquish the past and look forward. Let go, look to the future, and forgive. Whether the past is full of things you cherish or painful memories, it must remain in its place. A grateful heart looks forward. 4) Resolve to be thankful. Giving thanks is an act of the will. Throughout the poem, Bradford implores the people to give thanks. Choose to thank others and God for whatever you have been given, even strength to go on. 5) Recognize signs of hope all around you. The seasons turn and the wind changes. Even if today is very tough, we can be thankful that time moves on and focus on signs of hope. Optimism can open the door to gratitude. 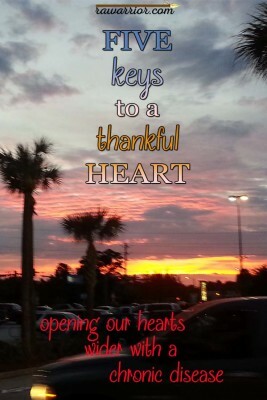 WHAT THINGS HELP YOU HAVE A THANKFUL HEART? Image: I came out of Wal-Mart the other night & grabbed my phone to take pictures. Others were doing the same. I smiled that people had stopped to be grateful and excited about a moment of beauty in the middle of a dirty busy parking lot. And pleasant pines sing, and arbutuses blow. O Bradford of Austerfield hast on thy way. 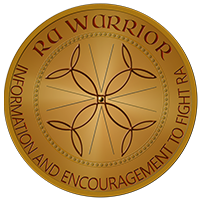 I have been wondering if there is anyone using antibiotics to combat RA. The tetracyclines have been mentioned.. as the drug of choice. My Rheumatologist says it is voovoo but there are reports which conflict with this . My pharmacist and my family doctor are both researching this question for me. I know it is not approved by the FDA and is not a viable RA medication and no testing is pending but there was a day when antibiotics were not approved for the treatment of stomach ulcers either. Does anyone have any ideas on this. 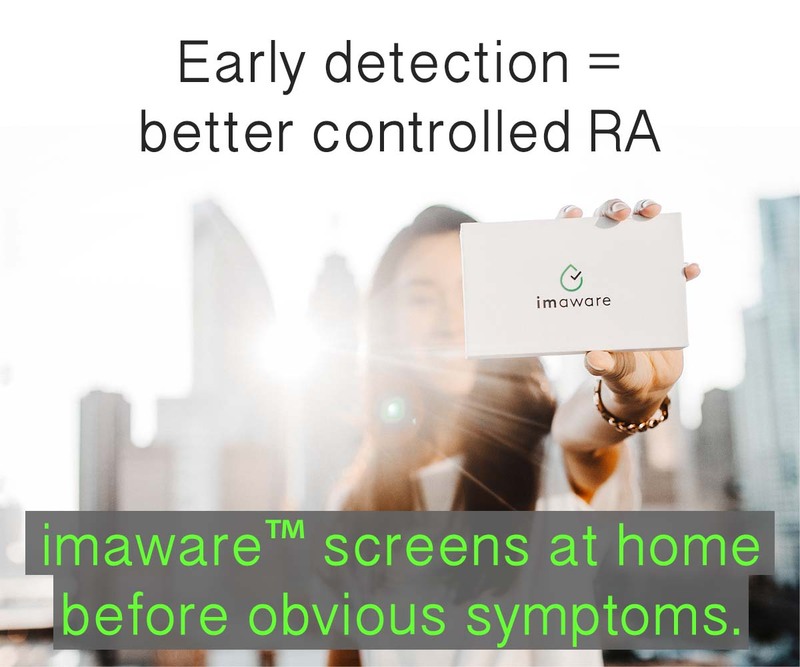 I was diagnosed with RA over two years ago. I have been in paquiil which did not work. Have been on Humira for over a year and it is not working. I have grown steadily worse and the quality of my life has been greatly reduced. Six weeks ago I started antibiotic therapy. I got all my information from the road back foundation. In the last two weeks I can not believe I have my life back. I still have some pain but have taken no pain meds for over three weeks. I have no fog/flu exhaustion and am very hopeful. 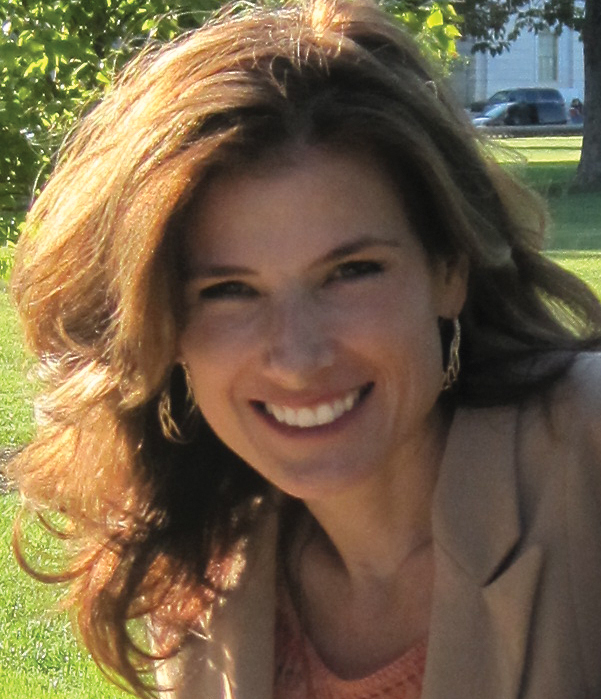 Kelly – thanks for your tireless work for all of us fighting the same fight with RD and aiming to live well in spite of this uninvited companion. I’m sorry for a bum week for you with reduced ability to serve your family. I/all of us understand, and I am there too. And in spite of it, as you said, we have so so so much to be grateful for, including the call of our bodies to slow down and focus on what’s really important, vs. all the less meaningful stuff that can fill one’s day. Thanks again for your vulnerability and relentless work! Happy Thanksgiving! Beautiful words of wisdom right when I really needed them. Thank you! I wish a happy holiday for you and your family. I am certainly thankful this year for being alive. I am also thankful to be able to let go of those regrets that I can’t do it all as I used to. I was thinking the other day about the word “semi-invalid” that used to be used to describe people like you and me that are “differently-abled” but not disabled. I will fight till the day I die not to be labeled or considered disabled, even though it takes a lot of help these days to live my life as I want it. Although limited, I can still write and take photos, do crossword puzzles and read,feed myself, (after a fashion–not as it used to be), hug my great grandbabies,love and care for my precious forever Amber kitty, and be a wise and loving friend to many younger women, as well as those my age. Not a bad life when you look at it that way. Am thankful for all you do! Maybe I am over tired, since being in the hospital this entire week making decisions for a husband who is battling kidney cancer. Maybe I am exhausted, and spent by the company pfizer and how the drug manufactured as xeljanz has literally dropped 8 of the 12 patients that my dr treats and it is a HARD drop, the worst flare and my disease has run amok and the dr actually discussed assisted living at my age of 50 years old. Maybe it is the fact that I lost SO MUCH money paying for a drug that would harm me in this way and cause so much pain in my life, and then to fight the cancer battle with my husband. I truly feel betrayed, not by my doctor, but by the drug manufactured who are solely in it for the money, not the patient. You know my attitude can be and for the most time is positive. but since literally living at a bedside in Miami hospital for the last week, making horrible decisions for my husband, thank God his family was there to assist. I feel let down, used, abused, and basically like… what is truly the point in fighting anymore? We are home tonight, tom is sleeping in his own bed, I will be awake to watch over him, to many steroids to sleep anyway. I know this wont be published, but, I am sorry my heart is broken at this time, it is not thankful, it is numb. My love of my life is dieing, I might as well die with him. Because there is nothing left for me. No children, who will take care of me? I am ready to crash and burn. and I think it will be a relief. Again… my heart physically HURTS. it is not thankful. Maybe I will read this again tomorrow, and see the meaning, but I truly doubt it. It hit me at the core. Kim, your note really touched me. I think we have all felt the heavy burden of carrying not only the load of this disease and all the changes it brings to our lives, but also when we have others to care for it can be so much more difficult. My husband has also been through significant health challenges this past year and add to that I have responsibility for my mother. I also have no children to help. Yesterday was a tough day for me, too. While others wanted the Thanksgiving feast, I would have been happy with a frozen pizza. Some days I simply want to give up and go hide. But – I want to encourage you that your struggles do not go unnoticed. Kelly is a good example for us – even with the struggles she faces with her health and the responsibilities with her family, look at the great work she accomplishes – work that benefits all of us. There is a place for each one of us, where we can serve, help others and find hope. Perhaps now is not that time for you, but there will be a time. I think one important point is to realize that you must experience the emotions you have right now. Kelly mentioned that thankfulness is an act of the will. Maybe you cannot be thankful right now, but you can work towards that. You have a doctor who is concerned for you, family members who helped with your husband’s care, you and your husband are home now and you have friends here who understand. Focus on that. I am truly sorry for the challenges you have in your life and will pray for you and your family. I am thankful that you shared from your heart and hope this will be a day that some of those feelings of despair will change. We all have a purpose here, even through our struggles. Thinking of you! to take it all on. Don’t let your light go out. If you have a chance and are able, there is a song that I really you might like. You can download it or you might be able to find it on YouTube. It’s called, “All I Can Say” by David Crowder Band. It’s very soothing. Kim you are much too valuable to this world to leave us. Thank you for writing your message and giving us a chance to lift you up. I will keep you and your husband in my prayers daily. I may not know you personally, but as a Rheumatoid Disease sister, please know that I love you and am sending as much positivity to you as I can muster. We’re all in this mess against our will, but God saw fit to bring us together on this site so we know we aren’t alone. We’re in this together. I pray HE gives you peace and love and strength in this New Year. I pray that for all of us on here. God Bless you, Kim! Know you are loved and cared for and NOT ALONE! I live everyday with an attitude of gratitude. Some days are better than others, but in the morning I thank my Higher Power for another beautiful day to live. My RA has been kicking up a bit and sometimes I wonder where it will go. Will I be able to continue my art??? I think of my grandmothers hands, my mothers hands, I am only 53, I have a ways to go. I want to stay in the now and look at all the positives in my life, but this diagnosis has been difficult. I thank you all for sharing your stories. This is a place of hope. As part of the vocational classes I teach, I do a bit on diversity, both cultural diversity and people with disabilities. I always show my classes a video from Al Foxx’x website, Winners Don’t Quit. His positive attitude in the face of adversity (brain damaged from an accident when he was just 19) reminds me that I don’t have it so bad. Sure, I can’t do stuff the same way I used to and some stuff I can’t do at all, but at least I still know how to do those things. I don’t have to learn to walk, talk, brush my teeth, take myself to the restroom, etc. Whenever I start feeling down because I can’t do something, I try to think of him and the struggle he has overcome, and how he does it with humor. I encourage anyone who reads this to go to his website and watch his posted videos on coping with change and on dealing with brain damage. Very insightful.